A nun looks at a Passion flower, symbolising the crucifixion of Christ. In her left hand, she holds a religous book open at an image of the Virgin Mary. 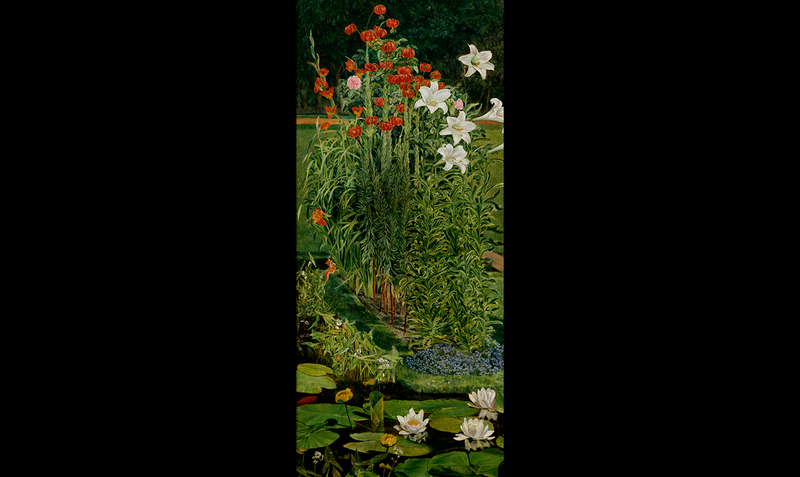 The frame, designed by Millais, reads: SICUT LILIUM ('As the lily among the thorns') from the Song of Solomon. This was traditionally associated with the Virgin Mary, as was the enclosed garden. 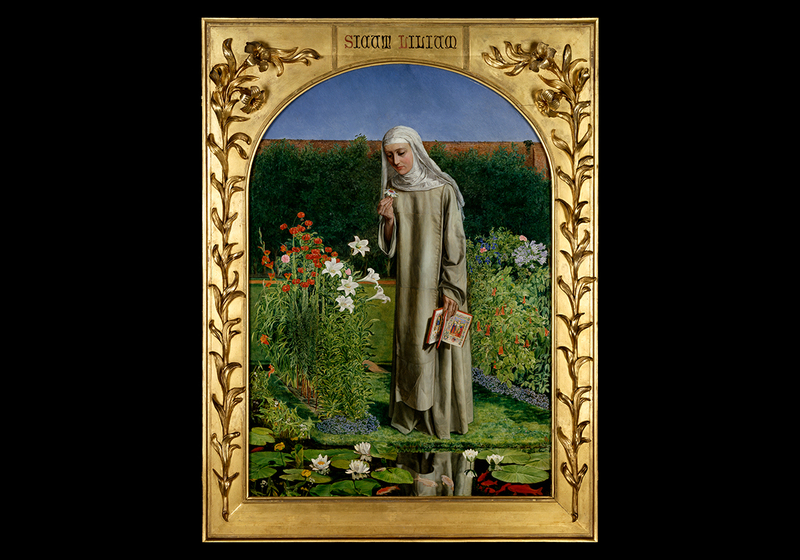 The flowers in the painting symbolise various traits of a nun including remembrance (Forget-me-nots), purity (Madonna lillies), constancy (Evergreen trumpet honeysuckle) and most of all passion for christ (the Passion flower she holds in her hand). 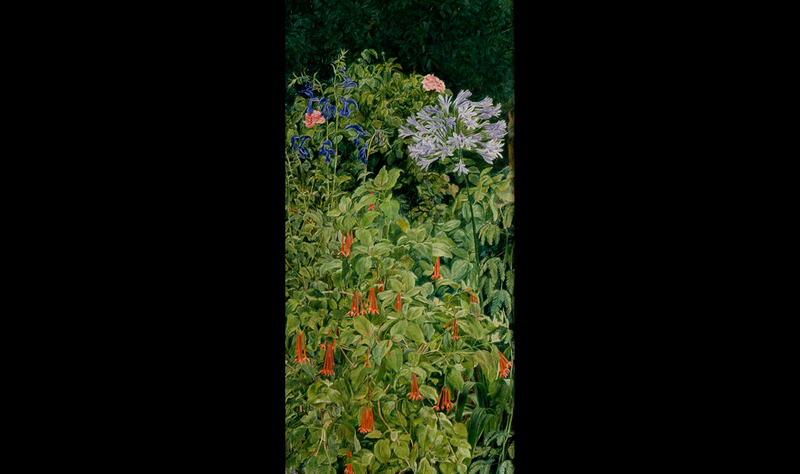 Collins painted the background while staying in Oxford; the flowers were painted in the garden of the Clarendon Press, where he was a guest of the Combes. The painting is executed in the minutely detailed style of the early Pre-Raphaelites, though Collins was never a member of the Brotherhood. It was exhibited at the Royal Academy in 1851 and was one of the works which inspired Ruskin's defence of young artists.